Product Description： Origin: CHINA Condition:BRAND NEW Size:15cm Quantity: 1PCS. Actual products may slightly differ in color and/or deco due to production variations. Item is new in box with light wear, slightly more moderate wear on corners and edges. Plastic display window has a few small dents, scuffing and marking. See photos for further details on condition. Will not be responded to. 100% official product, not a knock-off or reproduction! A mutant rhinoceros, Rocksteady is a powerful fighter for the Foot Clan. A newly developed body with over 25 points of articulation. Sculpt with a realistic likeness to the character portrayed in the movie. A newly developed body with over 25 points of articulation. Sculpt with a realistic likeness to the character portrayed in the movie. Soft PVC dermis on the arms. Tattoo patterns on arm. Spiked full-arm gauntlets. 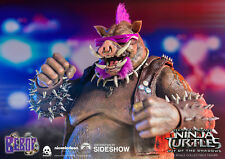 Everyone's favorite mutant warthog features a realistic likeness to the character portrayed in the movie, a newly developed body with over 25 points of articulation, detailed wrinkles and skin texture, detachable glasses, and real fabric pink hair implantation. Box does show shelf and storage wear as shown. Get the giant nunchucks ready for action and watch them spin as the vehicle rolls. This garbage truck toy is ready to fire the capture net to entrap Shredder. It can even launch up to four ninja stars to take out Foot Soldiers. Bubble sealed tight. Very minor dings at 2 corners of the bubble. (picture 3 & 4). 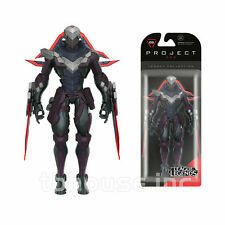 I really love these toys, so I will make sure. OUT OF THE SHADOWS. APRIL O'NEIL. We will be ready to resolve your problem. Material:POLY Resin. UK, CA, AU, NZ, DE. Expedited Service. Other countries. Dunny decends December 20, 2012 limited to 2012 pieces worldwide. Sealed on card. Card slightly bent on the top left. New mutations arise. The ultimate showdown approaches. - Made by: Playmates. TEENAGE MUTANT NINJA TURTLES. OUT OF THE SHADOWS. DELUXE SIZE. Material: PVC. Quantity: 1PCS. condition: 100% new in box. United States Rate of arrival 9% 83% 6% 1%. United Kingdom Rate of arrival 7% 80% 8% 5%. Australia,Canada,Germany， Russia Rate of arrival 4% 78% 10% 8%. BEBOP AND ROCKSTEADY. TEENAGE MUTANT NINJA TURTLES 2 : OUT OF THE SHADOWS . No exceptions will be granted. All toys are subject to shelf ware. New mutations arise. The ultimate showdown approaches. - Made by: Playmates. TEENAGE MUTANT NINJA TURTLES. OUT OF THE SHADOWS. Color: Define Colors, Nice Design. Back to Top. 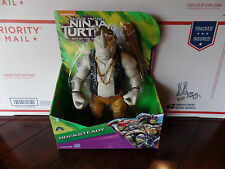 TMNT Out Of The Shadows Battle Sounds Rocksteady action figure Playmates. Item is brand new and unopened. Package has some wear. WETA Genuine Shadow Of The Tomb Raider LARA POLY Resin Statue Limited Model. Material:POLY Resin. This auction is for a still sealed TMNT Out Of The Shadows Kraang action figure. There is a wrinkle on the back corner of the card. It comes from a smoke-free and pet-free home. Please look at the pictures closely as they are of the actual item you will receive. This item ships via Parcel Post with Priority Mail upgrades available. Bubble sealed tight. Very minor ding at the top right corner of the bubble. (picture 2). I really love these toys, so I will make sure. Safety Tested | Approximate Height 12". Vehicle is Mint in Box. New mutations arise. The ultimate showdown approaches. - Made by: Playmates. TEENAGE MUTANT NINJA TURTLES. OUT OF THE SHADOWS. Color: Define Colors, Nice Design. DELUXE SIZE. Star Wars The Clone Wars ARC-170 Fighter Shadow Squadron Cockpit Canopy B43. Condition is Used. Shipped with USPS First Class Package. THE SHREDDER - out of the shadows. New on Card overall good condition. This Teenage Mutant Ninja Turtles Out Of The Shadows BEBOP is.